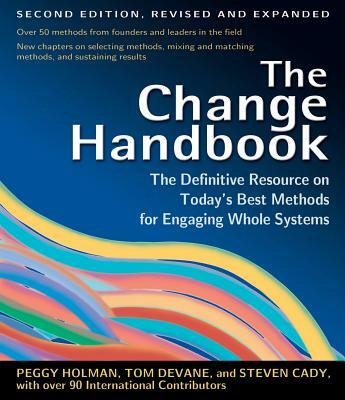 The Change Handbook features chapters by the originators and foremost practitioners of such high-leverage change methods as Future Search, Real Time Strategic Change, Gemba Kaizen, and Open Space Technology. The authors outline distinctive aspects of their approach; detail roles and responsibilities; share a story illustrating usage; and answer frequently asked questions about how to put it into practice. Examples of successful change efforts acquaint readers with the diverse array of methods being employed today. A one-stop comparative chart allows them to evaluate the methods to determine what will work best fro them, and an in-depth reference section helps them locate the resources they need to get started.